Hello, my lovely ladies out there. Makeup and beauty play a vital role in our lives and lip colors are one such thing that is a blessing to our makeup collection. More the shades of lipsticks you have more the number of looks you get. So, today I’ll be reviewing a lip color called the Incolor Matte Me Lipstick 424. Let’s see how it turns out for me. I love the hot red+matte combination in lipsticks so, I decided to go for the incolor matte me lipstick #424. 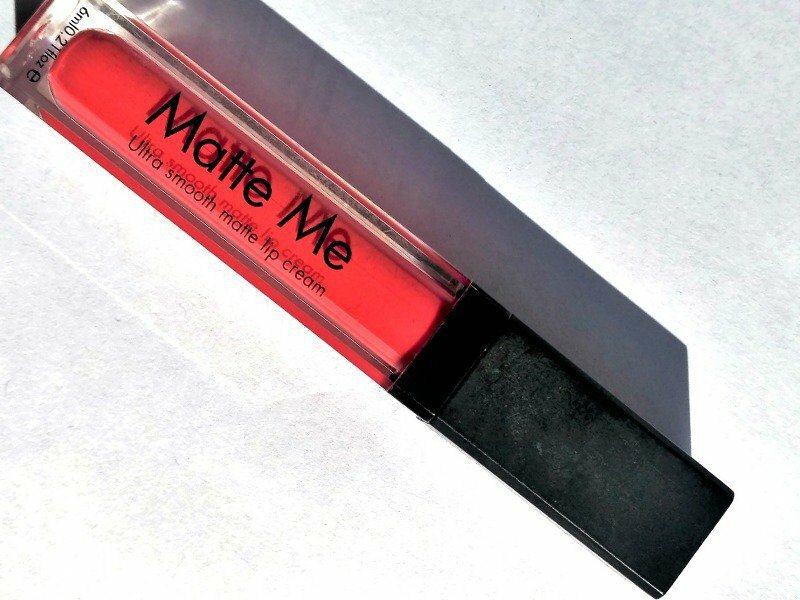 This lipstick comes in a nice red-hot color with matte finish. 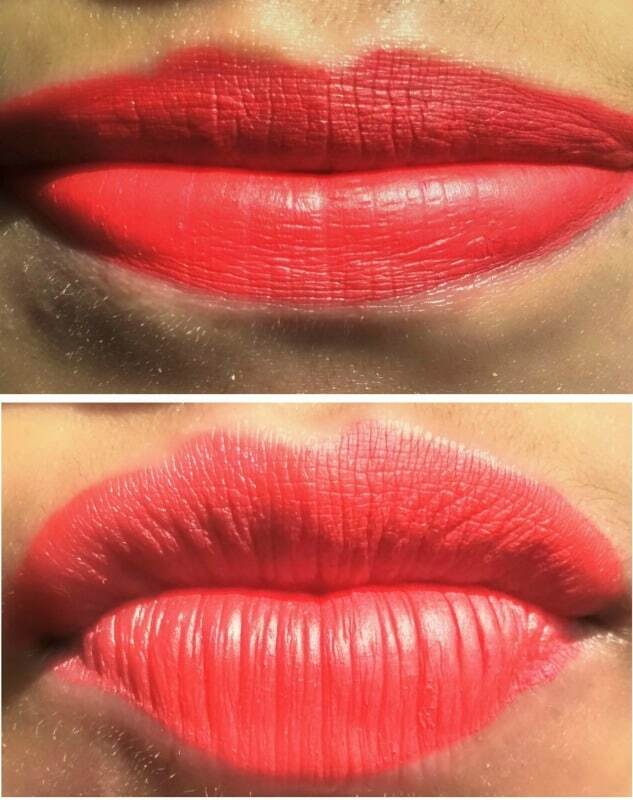 The lipstick is highly pigmented and you need a very little amount of this lip color to get that perfect finish. I applied a non-tinted lip balm before the application of the lip color as suggested by the brand. The lipstick is super creamy and the application is perfectly smooth. It has no fragrance which makes it a great choice for those who don’t like fragranced lippies. The product feels a little sticky on the lips which is a bit annoying. No doubt the lipstick gives a perfect matte finish as claimed by the brand. It is completely water resistant and stays for quite a long time. This is a great combination of budget-friendly lippy with desired results. It does not dry out the lips but only if you apply the lip balm before applying the product. It comes in a nice transparent rectangular bottle with the brand name on it along with a black lid. The wand is easy to handle and the brush is really smooth. Compact size and easy to carry. 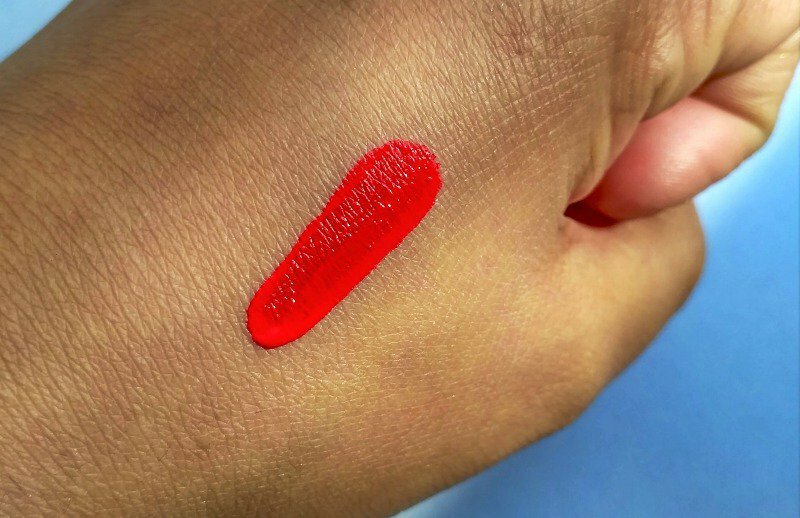 Guys, this is a great option for those who love matte and red lippies at the same time with a very pocket-friendly price. If a brand is not the concern then this is your goto choice to get the amazing matte look. I really love the pigmentation and creamy texture. This lipstick is worth giving a shot and I would love to buy this one again. Clary Sage Lotion By Aroma Magic | A treat for Combination Skin ! Yes, it reay is. Infact all the shades from this range are nice. Love the shade. I am a fan of dark shades.. Such creamy finish ? damn the numbering part , But the color pay off is soooo amaaazziiinggg! Do we really get genuine products from Amazon? ?